Winning what you want may cost you everything you loveThey were never meant to be together. As a general's daughter, seventeen-year-old Kestrel enjoys an extravagant and privileged life. Arin has nothing but the clothes on his back. Then Kestrel makes an impulsive decision that binds Arin to her. Though they try to fight it, they can't help but fall in love. In order to be together, they must betray their people . . . but to be loyal to their country, they must betray each other.Set in a new world, The Winner's Curse is a story of rebellion, duels, ballroom dances, wicked rumors, dirty secrets, and games where everything is at stake, and the gamble is whether you will keep your head or lose your heart. first, let’s talk about this gorgeous cover. i’ve tried taking a million pictures of it, from all different angles and it still doesn’t do the real thing justice. if you’re deciding between ebook or physical copy, definitely buy the physical copy. and once you pick it up to read it, you will thank me. in a world filled with power-hungry empires, salves, and war, kestrel is the daughter of one of the high generals; she lives a good life, in a large house filled with maids and yes, slaves. one peculiar day, she’s wandering the town with her good friend and they come upon an auctioning for slaves. normally she would just walk away, but for some reason she purchases this slave. from that moment on, things begin to change. – that’s how the story starts, and i don’t want to share any more because i feel like the resolution would seem very obvious but it’s NOT. the plot has a lot of twists and turns, it would be more fun to read if you knew little of what it’s about. and i feel like i’ve already spoiled too much. it’s fairly straightforward – you know what’s going to happened, you can see it happening, you don’t want it to happen – but it leaves you grasping for more, nonetheless. 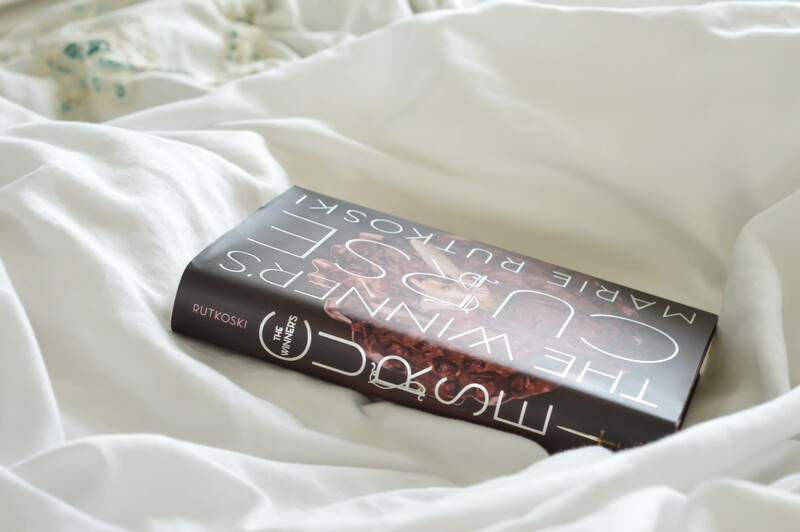 my favorite aspect of this book was the beautiful characters and their relationship/chemistry between each other. they are sassy, witty, selfless, and not-annoying in any way. annoying characters will be the death of me. what amazes me is that they’re all good characters, but none of them are “mary sue.” they have flaws, but *squeals* i just love them. the chemistry between everyone was so smooth and natural. a lot of the times, i’ll see interactions between characters and it seems so forced. there wasn’t a single time that happened in this book. if it did, it would seem intentionally tense or awkward. i think the biggest problem here was the lack of a map. yes, that’s the biggest problem. it made the whole world hard to visualize. their city/state/country/idk-what-it-is is on an island. i didn’t know that until the end of the book. things would’ve made a lot more sense if i’d known that small fact. we just need a map. it’s fine though because i know the second book, the winner’s crime, will have a map. THANK YOU! there are a lot of hidden metaphors. there would be a repeated sentence here, another reference there, and you don’t realize their meaning until the very end; you might not even realize until you reread the book. 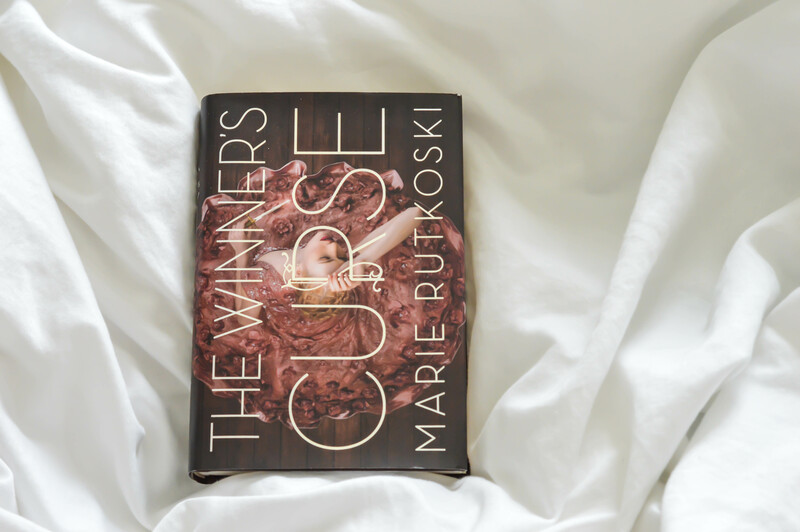 marie rutkoski clearly put thought in every word and sentence, which is another reason why i love this book. the writing is gorgeous. however, there was lack in sense of time. you never knew how much time passed, or sometimes, it felt as if time didn’t even exist. if you finished the book, i also advise reading the author’s note! she explains where she got the idea of the winner’s curse and all that interesting stuff.